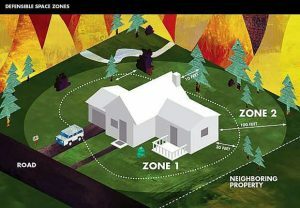 Digging out a fire hydrant out can make a world of difference should a fire occur in your neighborhood. Structure fires occur at the highest rates during the winter months. These house fires are usually caused by heating appliances like space heaters and wood stoves, according to the U.S Fire Administration. When the fire department responds to put out a house fire, the fire engine carries about 500 gallons of water, enough water to make an initial fire attack, but they quickly need a continuous water supply from a fire hydrant to extinguish the fire. Finding and connecting to a fire hydrant is one of the firefighter’s first priorities. New mapping technology on fire engines has improved our ability to find hydrant locations more quickly, but getting to them when they are buried under heavy snow can be a challenge. As you may have noticed, the recent storms have buried many of the over 4,000 fire hydrants in the Truckee Fire Protection District (as well as thousands of others in our sister districts across the Truckee-Tahoe region). Fire crews have been working to clear snow from some of the priority hydrants on main roads, but it is impossible and not practical to clear snow from every hydrant after every storm. In the event of a fire in your neighborhood, firefighters may spend valuable time searching for and digging out a hydrant when they could be doing other important tasks. This is where you can help. 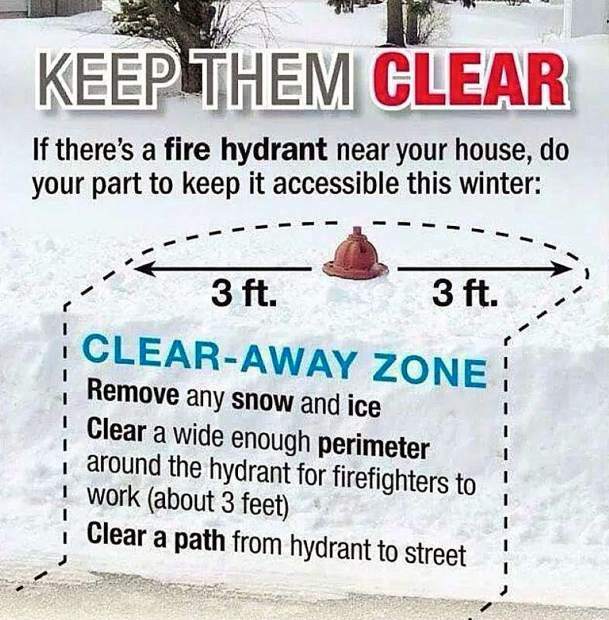 Some citizens have informally “adopted a hydrant” in their neighborhood and take responsibility to clear snow three feet in all directions from the hydrant, as well as keeping it visible from the street. 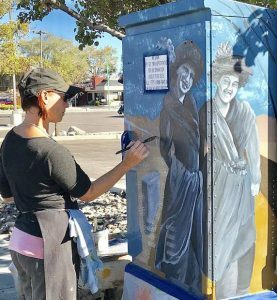 This is a great way to give back to your community and neighborhood. I encourage you to find the fire hydrant near your house and clear the snow away after storms. This will improve the chances that the fire department can knock down a fire as quickly as possible. 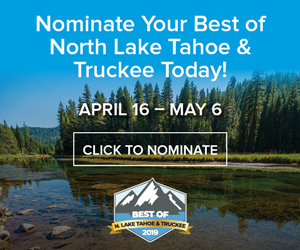 Bill Seline is chief at the Truckee Fire Protection District. Email him at billseline@truckeefire.org.